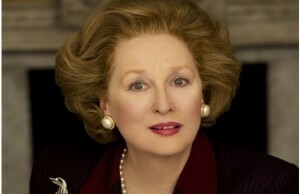 The new film about British Prime Minister Margaret Thatcher starring Meryl Streep glosses over one of the most important aspects of her premiership. The documents relating to the Falklands War in 1983 have a 30-year blackout until 2013 but mark my words this will be extended. For Margaret Thatcher ‘the Iron Lady” was nothing of the sort and far from being the great patriot she was just another political fifth columnist. The sinking of the Argentine warship the “General Belgrano“, which was outside the 200-mile exclusion zone and sailing away from the Falklinds when sunk, was an act that Thatcher never lived down. However, it was not Thatcher’s decision to sink the General Belgrano. For as with all politicians the same dark players were in the background pulling strings to shape what we now know as history. According to his security file ex French President Georges Pompidou was employed by the Rothchilds from 1953, he later went on to become the head of France in the late sixties but was known first and foremost as a Rothschild man. Similarly Rothschild appointed Margaret Thatcher as British prime Minister, as the Rothschilds wanted a quisling in place to oversee the transfer of large sums invested in Britain for reinvestment to India and the Far East. Of the 20 positions in Thatcher’s cabinet Jews held the five most important positions, with Lord Victor Rothschild as security advisor. The British nuclear submarine the Conqueror on May 2 1982 sunk the General Belgrano with the loss of 323 lives, just when Peru was co-hosting a peace initiative between the 2 countries. 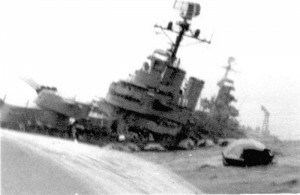 Thatcher told her cabinet that the Argentine battleship was a danger to British forces, although contemporary intelligence suggests that the sinking was intended to sabotage Peruvian peace plans and prevent the region’s mineral wealth being shared with Argentina. Also on the advice of Rothschild’s ‘advisors’ Sir Keith Joseph and Milton Friedman, Thatcher began shutting down large sectors of British industry in the name of efficiency. Jobs in coal mining, shipbuilding, motorcar and motorcycle manufacturing, steel and much heavy industry were all brought under threat. While a crippling VAT tax on small businesses forced many to close virtually overnight. This was called the Open Market economy and it ultimately led to the export of many hard won British jobs as Rothschild reinvested huge sums in industries in the Far East. Nonetheless, in the Falklands campaign the U.S. refused to loan Britain the early warning AWACS aircraft, which would have saved its ships as telephone intercepts reveal the then ambassador to the UN, Jeanne Kilpatrick wanted Britain to negotiate with Argentina in a share of the Falklands. So India and particularly New Zealand took up the slack and forwarded radio signals to their former colonial overlords. The USA saw both Argentina and Britain as allies and refused to take sides. For her part, Thatcher was said to have been furious with U.S. ambivalence and when she allowed the bombing of Libya to take place from U.S. air bases in Britain it was on the proviso that President Reagan stopped funds collected in the USA from reaching the IRA. So you can bet all freedom of Information requests on the Falklands war will be redacted and vetted before anything is released in 2013 and contain nothing of significance.